September | 2008 | Have U Heard?? Paul Newman Passed away on Friday, September 26th, 2008 at his home in Connecticut. 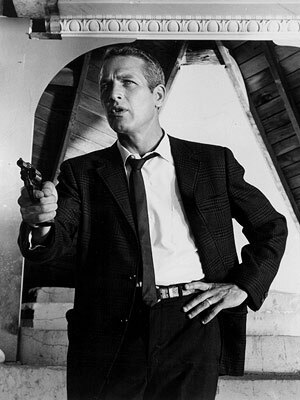 Paul Newman was not only a great actor and icon but a legend. This man was a symbol of class and integrity. Paul Newman was not only famous for his 10 Oscar nominations but for his marriage to Jo Ann Woodward, as well as his charitable contributions. In the 25 years that he owned Newman’s Salad Dressing he contributed over $200 million dollars to those less fortunate. Paul Newman will be missed by all. Our condolences go out to his friends and family at this very difficult time. If you are thinking a new hair product – you are way off. How about a new website by none other than Gwyneth Paltrow. I love to read about Gwyneth Paltrow – especially years ago when she was dating Brad Pitt and Ben Affleck. I could not get enough of her couplehood with either of them and was heartbroken when they parted ways. This time I am going to be reading about her actual interests rather than her love life (maybe she’ll share some of that also). Her website is a lifestyle website. She will provide cooking and travel tips and sharing some of her life philosophies. Sign up for her newsletter and you can get some travel notes and fashion buys. I’m curious to see her fashion buys. Will it be for the incredibly wealthy or the average person? Will you be reading GOOP? I Can Not Wait for the Emmy Awards!! The Emmy Awards are quickly approaching. They are on Sunday – and I can’t wait. The 60th Primetime Emmy® Awards marks the diamond anniversary of the most prestigious honor in television. The commemorative program for this prestigious event is traditionally available only to those in attendance. But through a partnership with online publisher Zinio, the Academy of Television Arts & Sciences is offering a digital edition of this year’s 208-page program for just $12.99. I’m curious to see what the program looks like – I just don’t know if I want to spend $12.99 to check it out. What about you – would you spend $12.99 to get the program?? Dakota Fanning is growing up before our eyes – can you believe she is 14 already!! Shall I say 14 and fabulous. I had the honor of meeting her a couple of years ago. I went to visit a friend on the set of “Phoebe in Wonderland” – Dakota’s sister Ella was starring in the movie. Both Dakota and Ella were so gracious, nice and friendly. When I 1st heard the news – I thought it was a joke. Ellen DeGeneres as the newest CoverGirl spokesperson?? Coming from Ellen you would think it was funny and possibly even a joke – but it is true. Ellen is the latest celebrity to represent CoverGirl. I love the Ellen show. Ellen is crazy -funny and there isn’t a talk show out there that compares to Ellen. Yes – I do love the Oprah show also – but we are talking two completely different types of shows. “Ellen is the quintessential CoverGirl,” said Esi Eggleston Bracey, for Procter & Gamble Beauty. “She is smart, confident, natural, and beautiful from the inside out. Her beauty and down-to-earth personality fit perfectly with what CoverGirl represents.” Ellen told People Magazine, “I’m honored and the photo shoot was ‘easy, breezy, beautiful CoverGirl.” Sounds like Ellen.